In visiting fluxmagazine.com you are agreeing to be legally bound by the following terms, which shall take effect immediately on your first use of the site. fluxmagazine.com may modify this Agreement from time to time and such modification shall be effective upon posting online. Please review this Agreement regularly to ensure you are updated as to any changes. To continue to use fluxmagazine.com after changes are posted means you agree to be legally bound by these terms as updated and/or amended. 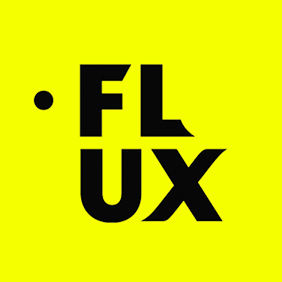 All material on the site is the property of fluxmagazine.com, unless otherwise stated. Unless content carries the a “share” icon you may not copy, reproduce, download, post, make available to the public, or otherwise use fluxmagazine.com content in any way except for your own personal, non-commercial use. You agree to use fluxmagazine.com only for lawful purposes, and in a way that does not infringe the rights of, restrict or inhibit anyone else’s use and enjoyment of fluxmagazine.com. Prohibited behaviour includes harassing or causing distress or inconvenience to any person, transmitting obscene or offensive content or disrupting the normal flow of dialogue within fluxmagazine.com. The content of fluxmagazine.com, including the information, names, images, pictures, logos and icons regarding or relating to fluxmagazine.com its products and services (or to third party products and services), is provided “AS IS” and on an “IS AVAILABLE” basis without any representations or any kind of warranty made (whether express or implied by law) to the extent permitted by law, including the implied warranties of satisfactory quality, fitness for a particular purpose, non-infringement, compatibility, security and accuracy.